Considered and decided by Hudson, Presiding Judge; Toussaint, Chief Judge; and Kalitowski, Judge. 1. An employee�s state law claim for tortious interference with contractual relations against her supervisor is preempted by section 301 of the federal Labor Management Relations Act when the contract at issue is a collective bargaining agreement. 2. Section 301 of the federal Labor Management Relations Act preempts an employee�s state law defamation claim against her supervisor when the statements alleged to be defamatory are made in the context of a disciplinary or grievance-arbitration procedure established by a collective bargaining agreement. Appellant Ellen Karnewie-Tuah challenges the district court�s dismissal of her claim for tortious interference with contractual relations and the district court�s conclusion that the claim is preempted by section 301 of the federal Labor Management Relations Act of 1947 (LMRA). Appellant also challenges the district court�s rulings on summary judgment, that (1) her defamation claim against her supervisor is preempted by section 301 of the LMRA; and (2) appellant�s defamation claim against another supervisor fails because appellant did not identify any statement by the supervisor that was defamatory. Appellant Ellen Karnewie-Tuah is a registered nurse who, since August of 2003, has been employed by Bethesda Hospital, a facility owned by HealthEast Care System. Effective 2004 to 2007, the Minnesota Nurses Association (MNA) union entered into a collective bargaining agreement (CBA) on behalf of the nurses with appellant�s employer, HealthEast. The record indicates that appellant does not have an individual employment contract with Bethesda Hospital or HealthEast but is a member of MNA and knew of this CBA. The CBA governs the terms and conditions of all nurses� employment with Bethesda and HealthEast, and provides a grievance procedure for resolving disputes. No nurse shall be disciplined except for just cause. Except in cases where immediate termination is appropriate, the Hospital will utilize a system of progressive discipline. If an Oral Warning is given, it shall be confirmed in writing, identified as disciplinary action, and a copy shall be given to the nurse. A copy of any Written Warning shall also be given to the nurse and the Hospital shall simultaneously send a copy to the Minnesota Nurses Association. A nurse participating in an investigatory meeting that reasonably could lead to disciplinary action shall be advised in advance of such meeting of its purpose. The nurse shall have the right to request and be granted Minnesota Nurses Association representation during such meeting. At any meeting where discipline is to be issued, the Hospital will advise the nurse of the right to have Minnesota Nurses Association representation at such meeting. In 2006, the time period relevant to this case, respondent Jillyne Frazier was the director of nursing at Bethesda. One of Frazier�s duties involved investigating patient complaints. Respondent Relindis Moffer was, for the relevant time period of 2006, an administrative nursing supervisor at Bethesda. Moffer�s duties included coordinating report time. During report time, the incoming nurses listen to recorded reports from prior shifts for the purpose of updating themselves on patient status. The record indicates that the nurses typically listen to these reports in the break room. Marnie Rogosheske was a patient advocate at HealthEast. Rogosheske was responsible for managing the resolution of patient complaints at Bethesda. She would learn of a complaint from a patient, a patient�s family member, or other staff who witnessed improper conduct. Upon learning of a complaint, Rogosheske would meet with the patient or the patient�s family members to discuss the specifics of the complaint. Rogosheske was required to then write up a patient grievance form and submit the form to the director of nursing, Frazier, who would investigate the complaint. On May 14, 2006, appellant reported for her night work shift. That evening, appellant was verbally reprimanded by Moffer for eating while listening to reports from prior shifts. Appellant also states that Moffer told her that she �has a nasty attitude.� Appellant claims that two days later on May 16, 2006, Moffer prepared the shift assignments and �arbitrarily switched the assignments to give [appellant] the heaviest assignment . . . .� Appellant alleges this was a set up calculated by Moffer to cause something to go wrong that would jeopardize appellant�s license and employment with HealthEast. Appellant contends she was targeted by Moffer and that Moffer and Frazier were conspiring to have appellant�s employment terminated and �cast doubt on her professional responsibility.� Appellant also contends that Moffer told other nurses during a nursing supervisor meeting that appellant had a nasty attitude. Appellant�s evidence of the alleged conspiracy to have her employment terminated consists of her own affidavit and testimony. Although appellant also submitted affidavits from two nurses stating that Moffer did not like appellant, the district court found that the statements by the nurses lacked foundation. Later that month, Rogosheske received a complaint from a patient in the unit where appellant worked, which is documented in respondents� confidential appendix. The patient requested that care be provided by a nurse other than appellant. After speaking personally with the patient about the specifics of her complaint, Rogosheske submitted a patient grievance form to Frazier, pursuant to her responsibilities as a patient advocate. Rogosheske stated in her deposition that the incidents reported by the patient allegedly occurred over a period of time before the patient notified her. On June 6, 2006, the human resources department (HR) informed appellant that it received a patient complaint alleging that she was �short, abrupt, nasty and sharp while providing care.� Appellant asserts that the patient who made the complaint was well known for making false complaints against staff persons. Bethesda�s HR department scheduled a meeting with appellant on June 9, 2006. At the meeting, appellant was accompanied by an MNA representative, Ms. Woode, pursuant to the CBA grievance provisions. During the meeting, Frazier told appellant that a patient had reported that appellant was impatient, abrupt, and nasty and that appellant let the patient lie in pain the entire night during her night shift on June 5-6. Appellant denied both allegations and told Frazier she was not working the night of June 5-6. Upon conclusion of the meeting, Frazier issued a verbal warning to appellant that was confirmed in writing pursuant to the CBA requirements. On June 20, 2006, appellant filed a grievance report with the MNA union regarding her receipt of the June 9, 2006 verbal warning. At the time of appeal to this court, the grievance was pending in binding arbitration in accordance with the CBA�s grievance provisions. Shortly after July 12, 2006, Ihnken called Frazier to discuss another patient complaint lodged against appellant during a conference with Ihnken, the patient, and the patient�s family. Ihnken informed Frazier that appellant was assigned to take care of that patient on the night of July 12, 2006. The patient complained that appellant, on three occasions that night, entered the room in response to the IV alarm, flopped his arm, shoved it into the bed and told him to keep it straight. The third time appellant entered, she did not speak but just shoved his arm into the mattress. Ihnken documented the patient�s complaint. Frazier called for an investigative meeting regarding the July 12, 2006 incident. Appellant and an MNA representative attended the meeting. Appellant denied the allegations. Frazier issued a written warning to appellant that described the patient�s complaint about appellant to Ihnken. Appellant�s objections and explanations were noted in the written warning. The written warning incorrectly stated that appellant failed to administer a prescription drug to the patient. Frazier later discovered appellant had in fact properly administered the medication and amended appellant�s file accordingly. During the meeting, Frazier said that another nurse would confirm the July 12 incident. Appellant�s MNA representative, Ms. Woode, conducted her own investigation and found that neither Frazier nor anyone in HR had questioned that nurse specifically about the incident. However, that nurse did state in her affidavit that HR questioned her about the night of July 12, 2006, and she told HR that she accompanied appellant each time appellant entered the patient�s room. On July 14, 2006, HR, upon Frazier�s recommendation, placed appellant on temporary administrative leave pending a thorough investigation. Following receipt of the written warning and addendum, appellant filed another grievance with her union pursuant to the CBA. This grievance, like the first one, was pending in binding arbitration at the time of this appeal. On July 25, 2006, appellant filed a complaint against respondents Frazier and Moffer in Hennepin County District Court. Appellant brought claims of defamation (count I), tortious interference with contract rights (count II), and disparagement of professional services (count III). Respondents moved for dismissal of counts II and III for failure to state a claim upon which relief may be granted. The district court granted respondents� motion to dismiss counts II and III. On August 7, 2007, the district court granted respondents� subsequent motion for summary judgment on count I. 1. Did the district court properly dismiss appellant�s tortious interference with contractual relations claim on the ground that the claim is preempted under the federal Labor Management Relations Act? 2. Did the district court properly grant summary judgment on appellant�s defamation claim against Frazier on the ground that the claim is preempted by the federal Labor Management Relations Act? 3. Did the district court properly grant summary judgment on appellant�s defamation claim against Moffer? The district court dismissed appellant�s claim for tortious interference with contractual rights pursuant to Minn. R. Civ. P. 12.02, concluding that this claim was preempted by section 301 of the federal Labor Management Relations Act (LMRA) (codified at 29 U.S.C. � 185), and that appellant otherwise failed to state a claim on which relief could be granted. We agree. In reviewing a case dismissed for failure to state a claim on which relief can be granted, the only question before the reviewing court is �whether the complaint sets forth a legally sufficient claim for relief.� Hebert v. City of Fifty Lakes, 744 N.W.2d 226, 229 (Minn. 2008) (citation omitted). If it appears that the plaintiff might produce evidence in support of a valid claim, then a rule 12.02 motion to dismiss must be denied. N. States Power Co. v. Minnesota Metro. Counsel, 684 N.W.2d 485, 490 (Minn. 1980). Conversely, if it appears that a plaintiff cannot prove any set of facts in support of a valid claim that would entitle a plaintiff to relief, then a rule 12.02 motion to dismiss should be granted. See Martens v. Minnesota Mining & Mfg. Co., 616 N.W.2d 732, 739-40 (Minn. 2000). Appellant claims respondents tortiously interfered with her contractual relations. Under Minnesota law, to prove tortious interference with contractual relations, a plaintiff must establish: (1) there is a contract; (2) the defendant knew about the contract; (3) the defendant intentionally procured a breach of the contract without justification; and (4) the plaintiff suffered injuries as a direct result of the breach. Dyrdal v. Golden Nuggets, Inc., 672 N.W.2d 578, 587-88 (Minn. App. 2003). A plaintiff claiming interference with contractual rights must first establish there is a contract in existence that conveys rights and duties on both parties. Id. The only contract relevant to this case is the collective bargaining agreement between the Minnesota Nurses Association, Bethesda Hospital, and HealthEast Corp.
Suits for violation of contracts between an employer and a labor organization representing employees in an industry affecting commerce as defined in this chapter, or between any such labor organizations, may be brought in any district court of the United States having jurisdiction of the parties, without respect to the amount in controversy or without regard to the citizenship of the parties. 29 U.S.C. � 185(a) (emphasis added). This provision, in most instances, applies to CBAs, because CBAs are by nature contracts between an employer and a labor organization representing employees. Here, the CBA between MNA and HealthEast, entered into on the nurses� behalf, provides a disciplinary procedure whereby oral warnings are confirmed in writing and identified as a disciplinary action. Under the CBA, any nurse participating in an investigatory meeting that could lead to disciplinary action has the right to request union representation during the meeting. The CBA further provides a grievance procedure that gives nurses and/or the hospital the right to request arbitration of the matter. If the nurse or hospital chooses to arbitrate the matter �[a] majority decision of the Board of Arbitration will be final and binding upon the Minnesota Nurses Association, the Hospital and the nurse.� Appellant acknowledges that she has filed grievances with her union over the allegedly false complaints against her, and that these grievances are currently pending binding arbitration. When resolution of a state law claim is substantially dependent upon analysis of the terms of a collective bargaining agreement made between the parties in a labor contract, that claim must either be treated as a claim under section 301 of the LMRA, or wholly dismissed as preempted by federal labor-contract law. Allis Chalmers Corp. v. Lueck, 471 U.S. 202, 220, 105 S. Ct. 1904, 1916 (1985). Section 301 preemption applies if the application of state law requires the interpretation of a collective bargaining agreement. Lingle, 486 U.S. at 413, 108 S. Ct. at 1885. The Supreme Court reaffirmed the rule that �a suit in state court alleging a violation of a provision of a labor contract must be brought under section 301 and be resolved by reference to federal law.� Lueck, 471 U.S. at 210, 105 S. Ct. at 1911. Further, the Eighth Circuit has noted that �the application of federal preemption cannot be avoided by attempts to allege only state contract or tort theories.� Moore v. General Motors Corp., 739 F.2d 311, 317 (8th Cir. 1984). Here, appellant�s tortious interference with contractual relations claim depends on interpretation of the CBA, given that it is the only contract at issue. Appellant has made no claim based on an individual contractual employment agreement with either HealthEast or Bethesda Hospital. In bringing a state law claim of tortious interference with contractual relations, appellant asks the court to examine the parties� duties and obligations, as set forth in the CBA, and to determine whether and to what extent respondents caused a breach of the CBA. We conclude that where the contract at issue is between an employer and labor union representing employees, section 301 of the LMRA and the Supreme Court in Lueck and Lingle explicitly preclude a state court from ruling on the merits of a state law claim for tortious interference with a contract. The reasoning of Lingle and Lueck dictates that appellant cannot pursue her tortious interference claim, because to do so would improperly require the state court to apply state tort law and to interpret the CBA between the MNA union and Bethesda/HealthEast. See Lingle, 486 U.S. at 413, 108 S. Ct. at 1885; Teamsters v. Lucas Flour Co., 369 U.S. 95, 102, 82 S. Ct. 571, 576 (1962) (holding that doctrines of federal labor law prevail over incompatible doctrines of �local� law). Because the application of state law to a tortious interference with contractual relations claim requires the interpretation of the CBA, the district court properly determined that section 301 preemption applies and properly dismissed appellant�s claim. Appellant argues that because neither she nor respondents were individual signatories to the MNA/HealthEast CBA, section 301 of the LMRA does not apply. We disagree. The Eighth Circuit has stated that �a plaintiff cannot avoid federal pre-emption by naming an individual supervisor, rather than the employer, as a defendant in an action rising from a collective-bargaining agreement.� Hillard v. Dobelman, 774 F.2d 886, 887 (8th Cir. 1985). In Hillard, the plaintiff was a member of a union that had entered into a CBA with Hillard�s employer, Laclede Gas Company. Id. Laclede terminated Hillard for insubordination. Id. The union grieved the dismissal on Hillard�s behalf, and the matter was submitted to arbitration. Id. Before the arbitrator rendered an award, Hillard filed suit, alleging that by terminating her employment, defendants were liable for tortious interference with contract. Id. The complaint named Hillard�s immediate supervisors as defendants and did not name his employer, Laclede Gas Company. Id. The Hillard court determined that removal of the action to federal court was proper because the plaintiff�s complaint had been pleaded to avoid federal jurisdiction. Id. Although Hillard�s action was brought in tort rather than contract, and the complaint omitted reference to section 301 of the LMRA, the court determined that �in reality, Hillard was suing Laclede for her discharge in violation of the collective-bargaining agreement.� Id. Because Hillard�s asserted right and defendants� alleged duty (not to interfere with Hillard�s employment contract) arose from the collective bargaining agreement, evaluation of the state tort claim depended on interpretation of the collective bargaining agreement. Id. Consequently, the court held that Hillard�s state claim was preempted by federal labor law. Id. Here, as in Hillard, appellant�s tort claim of interference with a contract requires examination of the CBA to determine whether there was, in fact, an interference with that contract by respondents. Consequently, appellant�s action is precluded by section 301, notwithstanding the facts that her claim is in tort rather than contract, and that she named her individual supervisors as defendants instead of her employer. Finally, we note that enforcing section 301 preemption in this case is proper as a policy matter. Failure to exhaust the grievance procedures of a CBA is a defense to a suit based on the agreement. See Lueck, 471 U.S. at 219, 105 S. Ct. at 1915. Here, the record indicates that before filing her action in state court, appellant filed two internal grievances with MNA regarding the verbal and written warnings. MNA has since requested that Bethesda submit to binding arbitration over both the verbal and written warnings in accordance with the CBA�s grievance provisions. 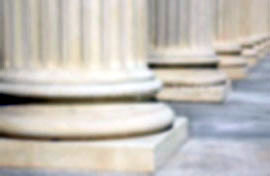 Allowing an individual employee to sidestep the grievance procedures of a CBA, and bring essentially the same complaint directly to state court, would interfere with well-established federal labor law policy favoring arbitration as the preferred method of dispute resolution. And it would frustrate a central tenet of federal labor-contract law under section 301 that it is an arbitrator, not the court, that has the responsibility to interpret the labor contract in the first instance. See id. at 219-20, 105 S. Ct. at 1915. Appellant claims the district court erred in granting respondents� motion for summary judgment on appellant�s state law defamation claim against Frazier on the ground that the claim was preempted by section 301 of the LMRA. We disagree. On appeal from summary judgment, we ask two questions: (1) whether there are any genuine issues of a material fact and (2) whether the district court erred in its application of the law. State by Cooper v. French, 460 N.W.2d 2, 4 (Minn. 1990). A motion for summary judgment shall be granted when, viewing the evidence in the light most favorable to the nonmoving party, the pleadings, depositions, answers to interrogatories, and admissions on file, together with the affidavits, if any, show that there is no genuine issue of material fact and that either party is entitled to a judgment as a matter of law. 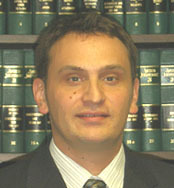 Fabio v. Bellomo, 504 N.W.2d 758, 761 (Minn. 1993). Appellant sued both Frazier and Moffer for defamation. To prove defamation in Minnesota, a plaintiff must establish: (1) the alleged defamatory statements were made; (2) they were communicated to a third party; (3) they were false; and (4) her reputation was harmed. Ferrell v. Cross, 557 N.W.2d 560, 565 (Minn. 1997). Appellant�s defamation claim against Frazier is based on the following statements: (1) Frazier�s statement, documented in the June 9, 2006 verbal warning, that Frazier �[r]eceived patient grievance related to patient defining [appellant] as short, abrupt and nasty and sharp while providing care for her.� (�sharp, abrupt comment�); (2) Frazier�s statement documented in the June 9, 2006 verbal warning that, �[a]ccording to the patient complaint, angry words were exchanged between the nurse and the patient.� (�angry words comment�); and (3) Frazier�s statement in the written warning that, �[a]ccording to the patient medical record the patient did not receive Dilauded on the shift in question.� (�patient medication statement�). The record indicates that Frazier made each statement either during investigatory meetings, in the documented verbal warning, or in the written warning. As discussed above, the CBA requires that if �an Oral Warning is given, it shall be confirmed in writing, identified as disciplinary action, and a copy shall be given to the nurse and the Hospital shall . . . send a copy to the [MNA].� Both the record and the CBA indicate that Frazier was required to document all disciplinary warnings to appellant in writing. The CBA further requires that a �nurse participating in an investigatory meeting that could reasonably lead to disciplinary action shall be advised in advance of such meeting of its purpose. The nurse shall have the right to . . . [MNA] representation during such meeting.� Thus, the three meetings during which Frazier is alleged to have defamed appellant were required by the CBA. questions relating to what the parties to a labor agreement agreed, and what legal consequences were intended to flow from breaches of that agreement, must be resolved by reference to uniform federal law, whether such questions arise in the context of a suit for breach of contract or in a suit alleging liability in tort. Id., 105 S. Ct. at 1911. Here, the district court relied on Evans v. Keystone Consol. Indus., Inc. for the proposition that when statements alleged to be defamatory are made in the context of a disciplinary or grievance-arbitration procedure established by a collective bargaining agreement, section 301 of the LMRA preempts a state law defamation claim. 884 F. Supp. 1209, 1216 (W.D. Ill. 1995). Thus, the district court concluded that because Frazier�s statements were made during a meeting mandated by the CBA, appellant�s defamation claim against Frazier was preempted by section 103 of the LMRA. Federal courts addressing the effect of section 301 on defamation claims have held that when statements alleged to be defamatory are made in the context of a disciplinary or grievance-arbitration procedure established by a CBA, section 301 preempts the state law claim of defamation. Stafford v. True Temper Sports, 123 F.3d 291, 296 (5th Cir. 1997) (holding state law defamation claim preempted by section 301 of the LMRA); Bagby v. Gen. Motors Corp., 976 F.2d 919, 920-22 (5th Cir. 1992) (concluding state law claim for defamation asserted by suspended employee preempted by LMRA and employee could not pursue claim because he failed to use grievance procedures prescribed in CBA); Scott v. Machinists Auto. Trades Dist. Lodge No. 190 of N. California, 827 F.2d 589, 594 (9th Cir. 1987) (holding terminated employee�s state law claim for defamation preempted by section 301 where alleged defamatory remarks made within the context of formal investigative hearings and other grievance procedures provided by CBA); see Evans, 884 F. Supp. at 1214 (collecting cases). [W]hen unions and employers take the favored step of establishing grievance procedures in order to avoid the need for judicial intervention, that negotiated choice should not be diluted by intrusions of potentially inconsistent state law. Parties to collective bargaining agreements should be able to rely on their bargain and the principles of � 301. To hold otherwise would allow the threat of defamation suits for comments made during grievance hearings to introduce an element of uncertainty into the grievance process as well as chilling the advocacy of the positions of the parties. As a result, parties would be much less willing to agree to grievance mechanisms that are fraught with potential liability under state tort law. Such a result would fly directly in the face of the federal labor policy, which encourages settlement of labor disputes through nonjudicial means. 628 F. Supp. 784, 789 (N.D. Ind. 1986). Here, the CBA between MNA, of which appellant is a member, and Bethesda Hospital, provides for both disciplinary and grievance procedures. And it is undisputed that Frazier�s oral and written statements were made in the course of her investigation of several patient complaints relayed to her by various staff members and that the statements were made during the disciplinary proceedings set forth in the CBA (i.e. the investigative meetings and written reports). Thus, we conclude that the district court properly determined that section 301 preempts appellant�s state law claim for defamation against Frazier. Because we affirm the district court, we need not address appellant�s argument that the district court erred in dismissing her defamation claim against Frazier on the alternative ground that Frazier�s statements were qualifiedly privileged. In her brief to this court, appellant does not specifically challenge the district court�s grant of summary judgment to Moffer on the defamation claim. And in her discussion of defamation and qualified privilege, appellant fails to point to a particular statement made by Moffer that defamed her. Rather, appellant focuses solely on Frazier�s statements in the verbal and written warnings. An assignment of error in an appellate brief based on mere assertion and unsupported by argument or authority is waived unless prejudicial error is obvious on mere inspection. State v. Modern Recycling, 558 N.W.2d 770, 772 (Minn. App. 1997). Moreover, this court must deem waived any issues not argued in the briefs. Melina v. Chaplin, 327 N.W.2d 19, 20 (Minn. 1982). The record supports the district court�s dismissal of appellant�s defamation claim against Moffer. Moreover, because appellant�s defamation claim against Moffer is unsupported by argument or authority and since prejudicial error is not obvious, we deem the issue waived and affirm the district court. The district court properly held that appellant�s claims of tortious interference with contractual relations and appellant�s defamation claim against Frazier are preempted by section 301 of the LMRA. And the district court properly granted summary judgment dismissing appellant�s claim of defamation against Moffer.